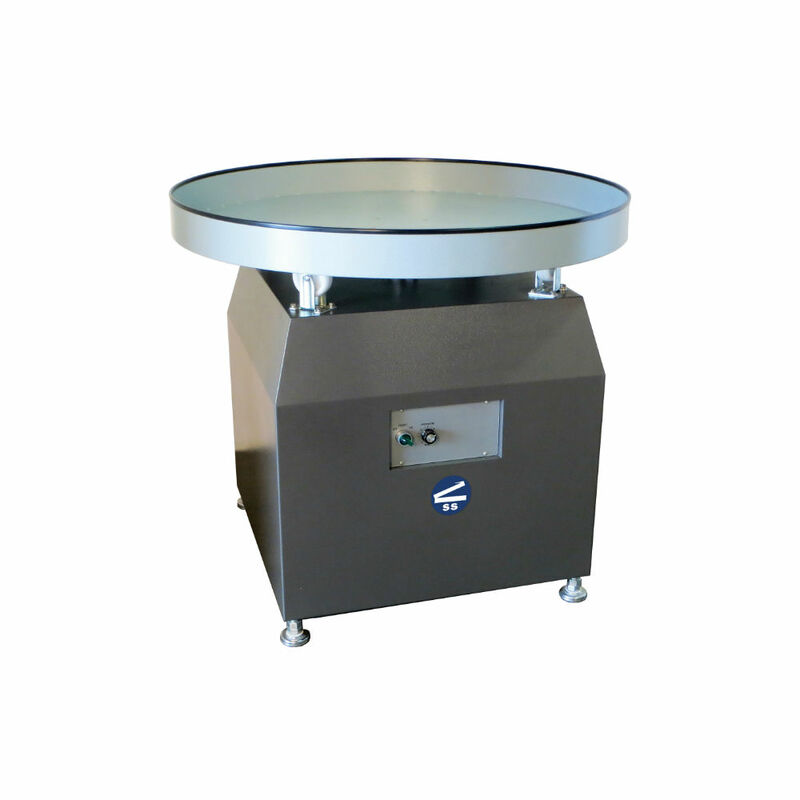 Lazy Susan Turntable — Sealer Sales, Inc. Available in 36”, 48”, or 60” diameters. This convenient and easy to use accumulator features a variable speed drive turntable.). The adjustable leveling bolts allow you to match any conveyor line height. This turn table is great for accumulating smaller products or packages that won’t transfer on a roller or skate wheel type conveyor. Plugs into any 110 volt outlet. All units available in stainless steel. Table Diameter 36" 48" 60"
Table Depth 3" 3" 4"
Shipping Dimensions 48" x 40" x 44" 50" x 40" x 55" 60" x 40" x 66"